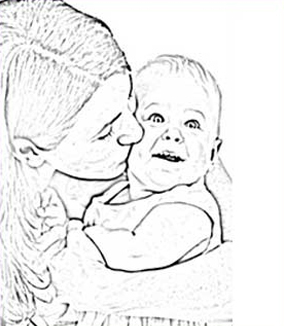 India's premier Surrogacy and IVF agency that has been helping couples from around the world realizing their dream of Parenthood via the most modern, yet cost effective, Fertility program for over 5 years. 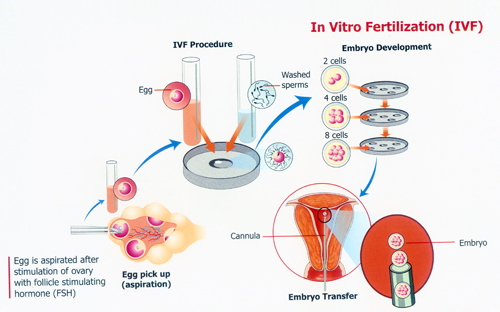 Assisted reproductive technology or infertility treatments are helping many childless couples to get the opportunity to have a baby. 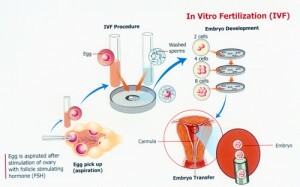 The adoption of these procedures is considered to be safe with growing choices worldwide. According to the new study, these procedures are proven to be low risk. Researchers studying that both autologous where woman uses her own eggs as well as allogeneic where she uses eggs, which are donated have the minimum risk of complications. As more and more people are opting for these procedures to conceive a child, strong efforts have been made to improve patient’s safety. The precautionary measures which have been specially emphasized can be less aggressive stimulator medicine to start ovulation. Egg retrieval before ovulation can no longer be as painful as through the laparoscopy instead less invasive vaginal mode is most preferred choice. According to the statistical examination and reported trends, the list of possible complications associated with the ART was at a higher version than today. It has also been observed that most possible complications may arise within 12 weeks of the procedure, some of them reported as infection, bleeding, complications related to the anesthesia, hospitalization, etc. However, with the proper knowledge and technological advances and other effective developmental approaches have significantly decreased their occurrence. However, some other complication should also be noted which have reported so far. Multiple Births and complications associated with it are the top most listed complications associated generally with intrauterine insemination. As it is really very difficult to control the number of eggs to be released. In such case the couple can be given an option to reduce the number of babies, as it is sometimes very harmful for other babies or mother as well to carry these babies to the full term. There are various other rehabilitative approaches which have been advised to enhance the productivity. The top most amongst them can be Exercise! Routine exercising pattern have been highly encouraged by various doctors to gear up the process of conception. However, it should also be noted that strenuous and excessive exercise pattern or scuba diving should be avoided in pregnancy in case of women. Along with the exercise, healthy diet is an important factor for women, who are trying to conceive. As has been overweight can affect the whole process and there are chances of failures. As a matter of fact, a woman who is opting to take a treatment is advised to normalize her weight. Fertility is mainly affected by the age. At the age of 20 to 35 women are considered to be the most fertile, however, by their 40’s or being that their likelihood of becoming pregnant reduces. Similarly with the increasing age, men also face the problem of infertility. With the increasing age, they do face a problem of low testosterone, low volume and concentration of sperms, reduced motility etc. Thus, on an average, it has been observed that healthy couples, who are younger than 30 years have higher chances of success than older couples. TWSC is an international facilitation company that specializes in fertility treatments such as IVF and Surrogacy services. It is our endeavor to help clients experience the joy of starting a family. A success rate of over 55% and a client satisfaction rate of 100% are just testimonial to our efforts of providing High quality fertility services while keeping our client needs and emotions as top priority.